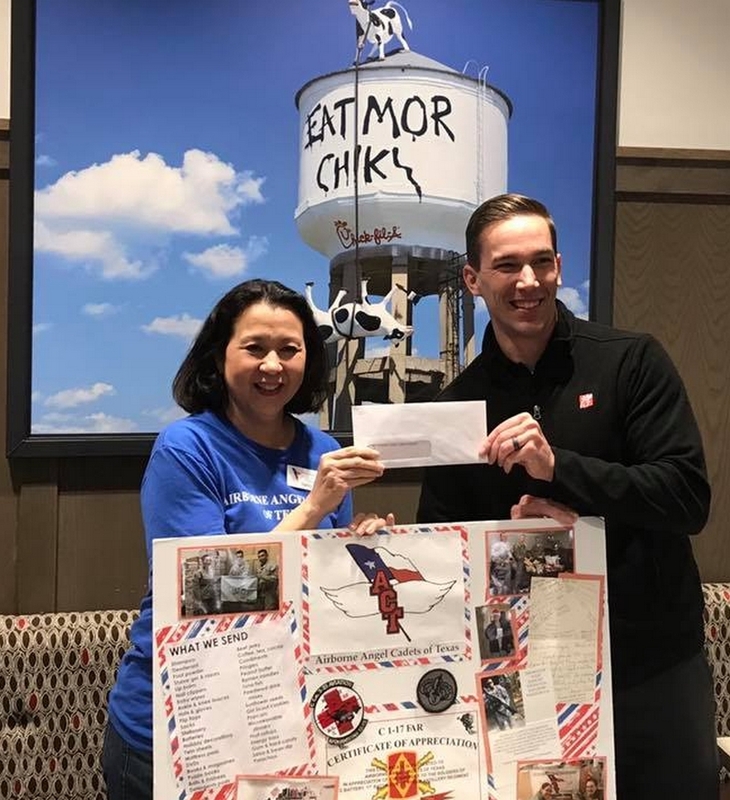 Care Packages for Soldiers: Chick-fil-A Plano, TX , Spirit Night Benefits the Troops. 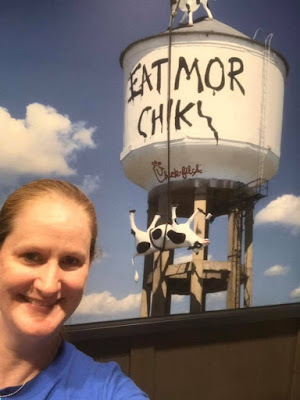 Chick-fil-A Plano, TX , Spirit Night Benefits the Troops. On Thursday, November 29, 2018 the Chick-fil_A in Plano, Texas, hosted a Spirit Night fundraiser benefiting the Airborne Angel Cadets of Texas. They donated 15% of their sales for the evening. 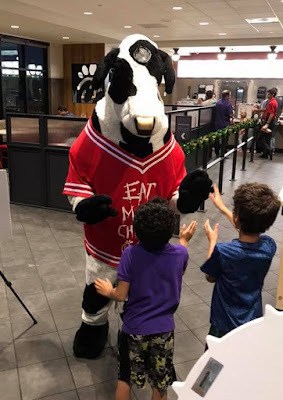 We want to thank Kevin, Olivia and the wonderful crew and customers for their support.